Over the past decade, a barrage of reports linking low vitamin D levels to cancer, heart disease, diabetes, and a host of other ills led many doctors to routinely test vitamin D levels in their healthy patients. But there is no good reason to do that, according to a new recommendation from the U.S. Preventive Services Task Force (USPSTF) published in this week’s Annals of Internal Medicine. After reviewing the results of 25 vitamin D studies, the panel concluded that it isn’t helpful for most people to know their vitamin D level. For one thing, experts don’t agree on what low vitamin D means. Some laboratories define it as below 20 nanograms per milliliter (ng/mL), others set it at below 50 ng/mL. In addition, tests for vitamin D aren’t standardized or reliable. Perhaps most important, even if you have a “low” vitamin D level there’s scant evidence that taking a vitamin D supplement will do you any good—with one exception. People low in vitamin D who take a supplement may be less likely to fall. That makes sense, given that vitamin D plays a key role in keeping bones and muscles strong. Our bodies make vitamin D when sunlight hits our skin (hence the nickname, “the sunshine vitamin”). Fatty fish (like salmon and mackerel), eggs, and mushrooms contain modest amounts of vitamin D; it’s also added to milk as well as to some yogurts, juices, and breakfast cereals. The recommended daily intake ranges from 400 international units (IU) a day to 800, depending on age (see “Recommended vitamin D intake”). However, many people—including health care professionals—often take even higher doses of vitamin D in supplement form as a hedge against chronic disease, despite clear evidence of a benefit. 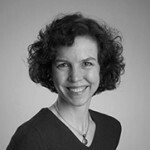 “We’re at a crossroads with vitamin D research because we really don’t yet know if there’s a cause and effect relationship between vitamin D status and outcomes such as heart disease and cancer,” says Dr. JoAnn Manson, a professor of medicine at Harvard Medical School and chief of the division of preventive medicine at Brigham and Women’s Hospital. 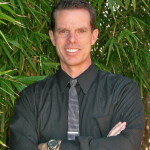 Low vitamin D levels might just be a marker for poor health, Dr. Manson explains. “If you’re in poor health, you’re not outdoors walking, biking, or doing other exercise,” she says. Staying indoors more means you don’t get the sun exposure to make vitamin D. In addition, people who are obese tend to have low vitamin D levels. Both obesity and lack of exercise contribute to higher rates of cancer and heart disease, so those factors could explain the illnesses, rather than a low vitamin D level. We’ll have a clearer picture of vitamin D’s role in our health within a few years. A nationwide trial involving nearly 26,000 people led by Dr. Manson is underway, with results expected in late 2017. 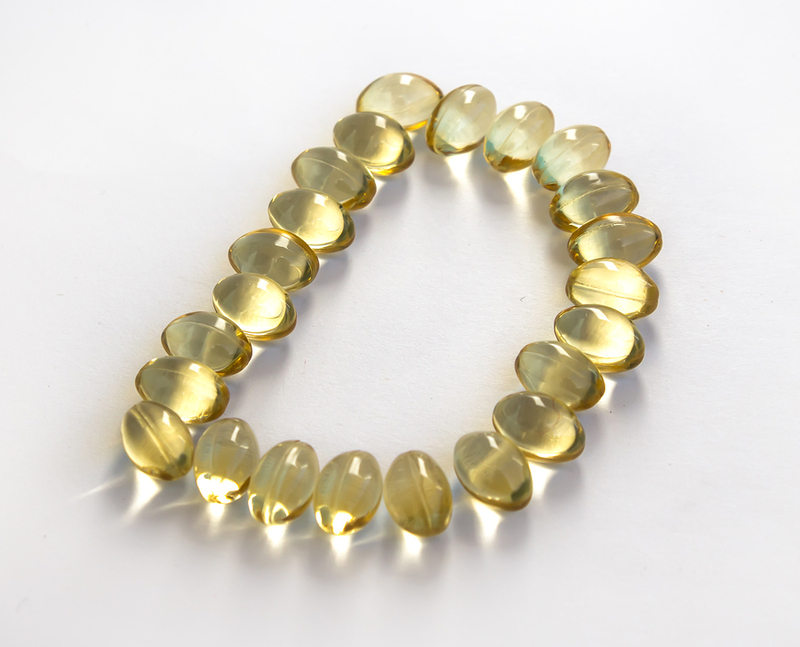 The VITamin D and OmegA-3 TriaL (VITAL) aims to find out if taking 2,000 international units (IU) of vitamin D or fish oil tablets reduces the risk of cancer, heart disease, and stroke in people who don’t currently have these illnesses. The Institute of Medicine, which officially sets dietary reference intakes based on a thorough review of all available evidence, concluded that a vitamin D blood level of 20 ng/mL provides enough vitamin D for keeping bones healthy. There’s little additional benefit in going any higher, although a goal of 30 ng/mL is reasonable, says Dr. Manson. But some laboratories are recommending ranges that are well above 50 ng/mL, which is potentially dangerous, Dr. Manson cautions. Too much vitamin D can cause calcium to accumulate in your blood, which can damage your heart, blood vessels, and kidneys. How can you make sure you’re getting enough vitamin D? When possible, aim to get the recommended daily intake for your age from modest sun exposure, food. and a supplement if needed. How much sun is enough depends on where you live and the season. 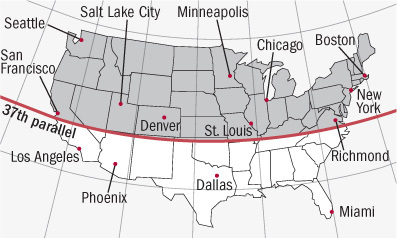 In the United States, it’s difficult to make much vitamin D from sun exposure in the fall, winter, and spring if you live north of a line stretching from San Francisco to Richmond, Virginia (see map below). If you don’t get much vitamin D from sun or food, a supplement makes sense. Taking 1,000 or 2,000 international units (IU) a day of vitamin D is relatively safe. The safe upper limit is 4,000 IU a day, but keep in mind that there’s very limited research on the long-term safety of taking that amount. “When it comes to vitamins, more is not necessarily better,” Dr. Manson says. Except during the summer months, the body makes little if any vitamin D from the sun at latitudes above 37 degrees north (in the United States, the shaded region in the map) or below 37 degrees south of the equator. I so disagree, my D level was in the tank when I woke up to this issue in late 2006….I was bordering on depression and I live in Sunny calif….but came in from years of being in the sun mostly due to cancer scares……plus I could not tolerate the sun like I did as a younger person….I’m 76. I live in Minnesota & I’m in my 40’s & mine is below 4. I disagree. I have pain all over, depression like I’ve never had and THIS should be mandatory in my opinion. lack of exercise contribute to higher rates of cancer and heart disease, so those factors could explain the illnesses, rather than a low vitamin D level. thank you for this information. This article is very interesting. I am always with low levels of vitamin D. I also have dark skin so is more difficult for me to absorb sun rays to form vitamin D.
Very much informative article. It is well known the relation between calcium , viteman D3 & osteopirosis. But I learned many new things from this article. I want to know the relation between vit D3 defficiency & control if Dia. Very much informative article. It is well known the relation between calcium , vit D3 & osteopirosis. But i learn many new things from this article. I want to know the relation berween vit D3 defficiency & control if Dia. Mellitus.My observation is in vit D3 defficiency , control of bl glucose is difficult & adding of D3 gives good result. Vitamin D is the beneficial for human body. Thank for sharing this post. Vitamin D is utilized for counteracting and treating rickets, an illness that is brought about by not having enough vitamin D (vitamin D lack). Vitamin D is likewise utilized for treating powerless bones (osteoporosis), bone torment (osteomalacia), bone misfortune in individuals with a condition called hyperparathyroidism, and an inherited malady (osteogenesis imperfecta) in which the bones are particularly weak and effortlessly broken. It is additionally utilized for forestalling falls and breaks in individuals at danger for osteoporosis, and counteracting low calcium and bone misfortune (renal osteodystrophy) in individuals with kidney disappointment. First when the same group found scant evidence to support routine PSA test or other cancer screening test the medical community particularly the groups benefiting the most $$$ went screaming and hollering about how many lives would be lost. The comment “The safe upper limit is 4,000 IU a day, but keep in mind that there’s very limited research on the long-term safety of taking that amount. 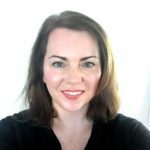 “When it comes to vitamins, more is not necessarily better,” Dr. Manson says.”… and yet largely because of the medical community sun exposure has been demonized to the point many are in fact far less than optimal….perhaps Dr. Manson should have noted that that policy has never been evaluated as to long term effects.The most reasonably position seems to be expressed here …. “Why the IOM recommendations for vitamin D are deficient. The IOM recommendations for vitamin D fail in a major way on logic, on science, and on effective public health guidance. Moreover, by failing to use a physiological referent, the IOM approach constitutes precisely the wrong model for development of nutritional policy. The fact is most studies on vitamin d use only small amouts often the wrong type D2 instead of D3. A study done in 2011 Wiley-Blackwell. “Vitamin D can help elderly women survive, review suggests.” ScienceDaily. ScienceDaily, 6 July 2011. . noted The eight-strong international team of researchers identified 50 randomised trials that together had 94,148 participants. They had a mean age of 74 years, and 79% were women. “Our analyses suggest that vitamin D3 reduces mortality by about 6%. This means that you need to give about 200 people vitamin D3 for around two years to save one additional life,” says Bjelakovic. One MUST get it from both sources….food and sun to absorb calcium. Soooo why isn’t it required in nursing homes to get lamp or outside exposure? Also, even the experts talk about one source w/o mentioning the other….if the goal is to absorb calcium then both sources must be used. Get tested, why wouldn’t you want to know if you are deficient? My level was 22 after years of taking the rmd of “D”. I also had osteoporosis and very low bone density. I raised my “D” to the mid 30s by taking 3,000 iu for years and over 8 years gained 35% in my spine and 23% in my hip. Pay no attention of expert advice unless you want untreated osteoporosis. I have no idea why the experts are so intent on keeping people uninformed and possibly “D” deficient. Cognitive Dissonance runs rampant in the health care professions. Number two, health care professions stand to loose billions of dollars of annual revenue if the vitamin D deficiency is corrected. EDITOR: Some mushrooms are now irradiated, but most are not, and so will not contain vitamin D (label will state). Vitamin D is operates as a ‘hormone’ that affects immune system regulation and functioning. In our modern society, many factors contribute to the likeihood that we do not have enough vitamin D: we do not go outside, sunblock, shirts, too hot , etc (all of these inhibit vitamin D levels). WHY not have vitamin D levels checked for patients with HEADACHES, FATIGUE, JOINT PAIN, Arthritis, Allergies, Eczema, etc (these are all influenced by imunne system functioning). In my practice, patients that have had low vitamin D often have other nutritional issues as well, inclduing low iron, B12 deficiency, etc. It may be more benficial to have nutrient deficiencies evaluated versus multiple prescription medications to address just the symptoms, and not the underlying cause(s). I can’t wait for the results of the VITamin D and OmegA-3 TriaL (VITAL). I’ve been taking Omega-3 consistently for the past 14 years after I’ve had a quintuple bypass surgery at a young age. I also taken vitamin D off and on, after a blood test indicated that my vitamin D levels were low. I stopped taking vitamin D after reading mixed reviews. very intereresting, thank you for this nice article. We will speak about it in our blog.